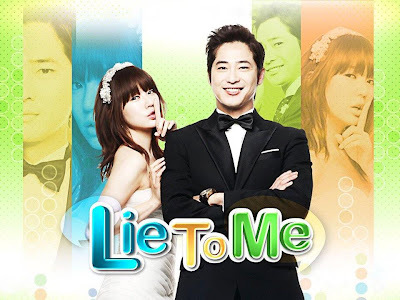 Lie to Me Korean Drama on GMA 7 is a refreshing addition to the prime time drama list during weekdays over this TV station. I’m not really a fan of Pinoy teleseryes but I’ve always been following Asianovelas, as they call it. Most especially light hearted, sometimes cheesy, comedy series from Korea, Taiwan, or elsewhere in South East Asia and neighboring countries such as this show Lie to Me. Although I can always watch Asian series in advance from the original version with an English subtitle, I enjoy it the most when watching the locally dubbed version in Tagalog despite the fact that I’m writing this in English. Lie to Me the Tagalog version is even livelier than the original version in terms of audio and the voices of the cast that is. Also, even if an Asian show’s one full episode is normally split into 2 or more episodes here, I still do watch it in our local television channels. As for Lie to Me, it’s not even a drama. It’s very comic and entertaining. It’s something different from the usual Philippine teleseryes. So it’s just proper for Lie to Me to be aired after the time slot of drama series programs. Lie to Me airs on GMA 7 during weekdays after the new contest Protégé: The Battle for the Big Artista Break and before the news program Saksi. It was out tonight though and Bubble Gang was aired immediately after Protégé. Lie to Me’s story line is not extraordinary. In fact, I’m sure you’d say that you’ve seen something similar to it before. Couples pretending to be a couple or in this show’s case, married. It started with Angela Gong from the Ministry of Tourism (Culture in the original) lying about being married so as not to feel sorry about herself over her ex-boyfriend Louie marrying her friend Francine. Kenneth Hyun was introduced into the picture when he carried the injured and fainted Angela during her visit at his hotel. One single lie led to another until Angela was able to convince Kenneth to marry her (not really, it’s faked). It made Angela feel good about herself when Francine was blown away not only by her marriage but her marrying a hotel owner like Kenneth. All is well until Kenneth’s ex-fiancee Yvonne went home after staying in Paris for 3 years. They were supposed to be married but Kenneth chose his younger brother Ethan over her. Ethan was also in love with Yvonne and couldn’t get over the fact that she fell in love with Kenneth instead. History repeats itself so they say and so Ethan and Kenneth fell for the same girl again. But this time, Ethan learns to let go. As for Yvonne, Angela can relate to her in a way because her boyfriend fell and married someone else. But I’m sure you know what happens next. Despite all the opposing parties, it was Kenneth and Angela who ends up together in the end. All thanks to Kenneth’s loyal assistant who read Angela’s note which Kenneth simply threw away. The show is still ongoing over GMA 7 (update - the show was concluded last night Aug. 23) but the Korean version was shown back in May 2011. There were 16 episodes in the original Korean program. The predictable plot is the reason behind the show’s low ratings when it was first aired in Korea. But elsewhere, Lie to Me has a noteworthy following, like in the Philippines for example. Watching teleseryes no matter how dramatic they are is already part of the Pinoy culture. So to see a show that’s not filled with heavy drama such as most Asianovelas is something stimulating for Pinoys. One single show that’s not comparable to the usual drama at night can culminate T.V. watching for the typical Filipino viewer. You can call it a dessert after a full meal. Thus explains the popularity of these types of shows in the Philippines. Lie to Me records a good viewership for that same reason even if it wasn’t wildly followed in Korea. You will recall that Yoon Eun-Hye is already a familiar face in the Philippines. In fact, she was seen in other shows previously aired in the country. These include Princess Hours and Coffee Prince. Most of her shows (at least the ones which were aired in the Philippines) place her in the shoes of characters with daring kissing scenes. It’s something bold and is not usually seen in most wholesome Korean shows. I’m thinking that it’s either she’s more open to living up to what a realistic kissing requires or the other stars simply don’t want to do it. Going back to Lie to Me, the kissing scenes are definitely worth creating a YouTube video for. But it wasn’t me. A fan created a compilation of all the Kenneth and Angela kisses throughout the entire series. See video below. Aside from kisses (which are plenty), it’s the “kilig” moments alone which keep me up late in the evening and leaving all my work behind once the show starts. Well, that’s what would have me glued to any other Korean or Taiwanese series. Julie Ann Jose’s “I’ll be There” is Lie to Me’s local theme song. A fan edited a video with clips from the first few episodes over GMA 7 and the final episodes through SBS. Check it out below. If there are those who are not fans of local drama filled teleseryes, then there are definitely haters of Koreanovelas or Asianovelas as well. Call me cheesy but if I wanted to watch something thought provoking, then I’d watch a different show and not this. I watch Lie to Me because of what it’s all about. It’s that simple. If you want to be entertained without forcing your brains out, then this show is for you. Lie to Me is that perfectly cheesy but entertaining love story which would have you feel good and make you believe that even in the weirdest circumstances, love and other good things do come to life.